Screenshots are essential to that person who would wish to have a whole copy of a page or window for future reference. Taking screenshots on apple is very easy. 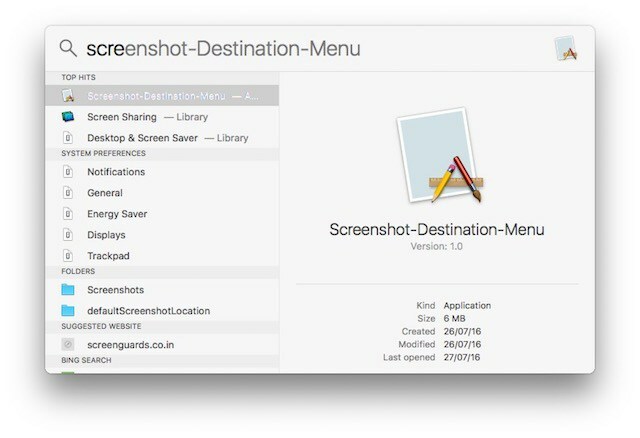 Once screenshots are captured, they are stored in a default location in your MacBook. Apparently, on the desktop. This location can be quite cluttered, firstly because the desktop is the face of the Mac and secondly the screenshot will appear disorganized. Well Apple has designed and preferably settled for having the desktop as the perfect location for ease. Apple as a company, are known to make their interface less complicated for its users. However, this might be simple and convenient but not organized. Despite making screenshots easily accessible, they ought to have considered a little organization in the whole idea. The biggest problem arises when you have this tendency that you need to have a lot of screenshot for your use. With the current setting, you would easily clutter your desktop having saved the first few screenshots. Apparently, one can simply move the screenshots to another location, but this would shortly become pesky. To cut this short, you would opt for an easier and one-time solution for desktop cluttering and good organization. Simply by changing the default location where your screenshots would be saved. A solution that would seldom need regular housekeeping on your Mac desktop. 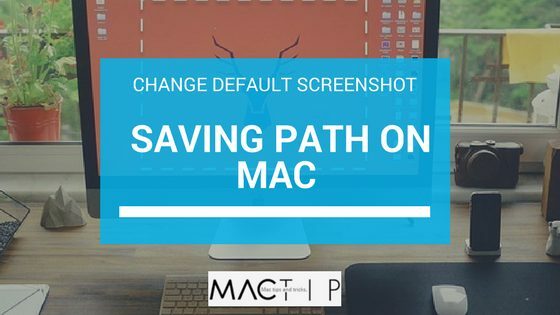 We have compiled the complete guideline to change the default location of saving screenshots in your Mac. 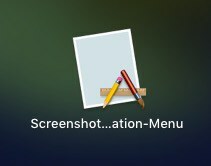 How to Take a Screenshot in MacBook? Define what is important in your screenshot by dragging to adjust the crosshair. The screen shot will be saved as an image on your desktop. Terminal is an application in MacBook. It is versatile, powerful and up to the task. Terminal allows you to make necessary changes to the default values set by Apple. Tentatively, terminal might sound or look a little complex to you. Worry not, because we got you covered. We feature a user friendly guide that will only require your attention and discipline. All we expect from you is keenly follow and apply the laid guidelines for your benefit. 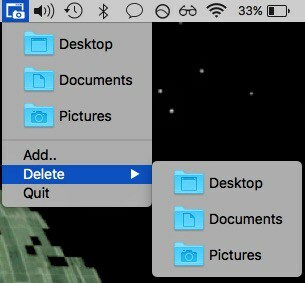 Create a new folder which you wish to save your screenshots. That would be the new location where you would direct all the captured screenshots. Use the spotlight search to look for the terminal app. Alternatively, you can locate it in the Launchpad from the other folder. When you find the terminal app, launch it to get moving. Path_to_folder represents the folder path which you would like to have your screenshots saved. Hit return to move on. Take a screenshot using the usual process on the MacBook. This time round, it should be saved in the new location. If you would not like to be viewed as guru, applications can act guru for you. Cory Knapp, a GitHub user developed an application which would both key in and help you in executing commands for you. This app does not let you to see the terminal, rather it does everything behind bars. You can have a taste of what the app can do by getting a pre-released application for you. Actually, the app is not the final production release. It was compatible with MacOS Sierra Public Beta 2, which insinuates that it should not give you compatibility trouble. I have used the terminal command and I highly recommend using it rather than the application. However, if you do not fancy commands in the terminal, you can opt for Cory’ application found on GitHub. How to Install Cory’s Application for Changing Saving Path? The application exists in zip format. Download the app from GitHub. Unzip the zip file on your MacBook by extracting it. From the left pane in the Finder, Move the downloaded application to your rightful applications folder. To start up things, you have two ways. Using the spotlight search to get the destination of the app or simply launching it from the Launchpad. NOTE: it is very much possible and allowed to launch Cory’s app from the folder containing downloads or rather follow it up where you unzipped it. I would highly recommend that you launch it from the applications folder to have some sense of organization. The application would appear in the menu bar a menu icon. Once you click the Cory’s app icon, you will realize three folders which are the available options for setting a default directory preferred for saving screenshots. It lets you be able to delete or add provided folders without any struggle. You can switch between the folders quite smoothly depending on what you are interested in. It is all done! You can download as many screenshots as possible and they will save in the chosen folder without disorganization. The beauty of a Mac display starts from the desktop. The desktop is the first impression of your mac when one logs into it. It is advisable to keep your desktop uncluttered and very much organized. This article features the methods that will let you do the desktop housekeeping once and for all either using the terminal command or the Cory’s app. Remember, that leaving your views and comment is part of our articles. Let us hear what you have concerning screenshots in your desktop, how you manage them and deal with them. If you find this article helpful, speak it out as well.